I stand above an empty suitcase with trepidation. I should be packing for a 3-month whirlwind adventure in Goa, India. However, something stops me. Be it the nerves of traveling across the world alone for the first time or perhaps the realization of the magnitude of what I’m about to dive into – but I can’t seem to move my body and start packing. I gently remind myself that this is what I’ve spent months working towards. Ever since I attended the Summer in South Asia Fellowship presentation back in October I pictured myself where I am today preparing for what in all expectations will be an amazing experience working with Sangath. When I heard I had been selected as a fellow, I was beyond ecstatic! A renowned NGO in Goa, Sangath’s mission is to provide health across the lifespan by empowering existing community resources to provide appropriate physical, psychological and social therapies. They have an international and local renown for combining research with multi-disciplinary interventions to provide under resourced communities and vulnerable populations with greater access to health care. Their programs are considered revolutionary in community based public health work and here I was being offered the immense privilege of working with their research sector to see how mental health is perceived, treated, and de-stigmatized through innovative methods such as lay counseling. Standing above my empty suitcase shaking with nerves, I can’t help but be incredibly humbled by this opportunity. So I remind myself why I applied to this program. I plan to pursue a career in global public health and medicine with a focus on health equity and community based interventions. I’ve taken many classes during my undergraduate career that focus on global health and it’s become apparent to me that mental health is a sector of health that is often underrepresented, overlooked, and subject to inaccessible treatment for a majority of the world’s population. As someone interested in community based treatments for mental health, I admire innovative ways to tackle the problems that stem from lack of access to care and systematic/structural barriers, which is why Sangath’s approach resonated with me. But this internship so much more personal for me. I’m a first generation Indian American with a history of mental health issues in my family, specifically affecting the women in my family. I personally understand the cultural stigma attached with mental health in an Indian household and I have witnessed how the day-to-day pressures stemming from that stigma affect the struggles of accessing mental health care. I truly believe the unique methodology that is being implemented in Sangath to treat mental health can be employed on the front lines of fighting that social stigma in many societies towards mental health. It can pave the way for a new vision of mental health treatment. I want to be a part of this process and learn how empowering a community to change it’s perception on mental health can knock down barriers in a society to improve the lives of so many individuals who have previously had no resources nor access to mental health treatment. There are a lot of expectations I’ve placed on this experience and myself. I’m terrified of traveling across the world by myself. I’m terrified that something will go wrong during my internship or that I may get lost. I’m terrified of saying the wrong things or doing the wrong things while working in a community that is not my own. But what I also realized is that I’m excited to spend 3 months working with a team of passionate and dedicated public health workers on an issue that is near and dear to me. I’m eager to return to a country my parents call home and immerse myself into the local community and culture. I’m ready to travel and explore new places. But most importantly, I’m eager to begin this journey that will allow me to grow as both a student and an individual and really understand what it means to engage with the global community through an ethical, responsible service based framework. I look down at my still empty suitcase and smile this time – I can’t wait to begin! This entry was posted in Uncategorized by Neha Tiwari. Bookmark the permalink. 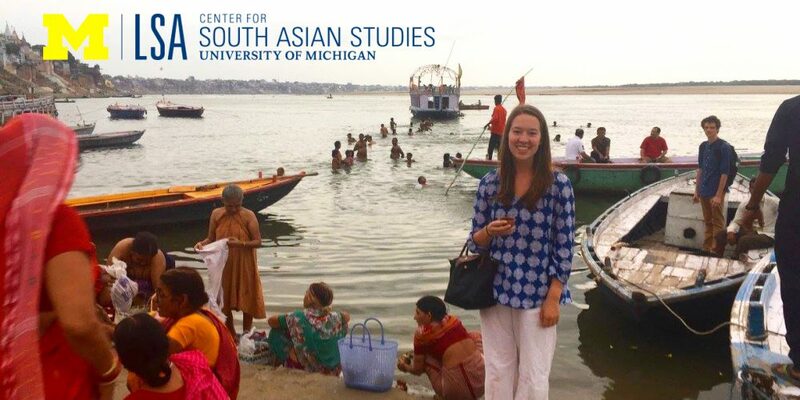 Neha is a Junior with a major in International Studies: Global Environment and Health, and a minor in Biochemistry. She hopes to pursue a career in public health and medicine with a focus on health equity and mental health. Neha will be spending three months in Goa working with Sangath, an NGO dedicated to improving health by empowering existing community resources to provide appropriate physical, psychological, and social therapies. Neha's final research project will explore the effectiveness of the integration of community-based lay counseling in a traditional mental health treatment program. Neha, thank you for sharing! You are going to learn and grow so much from the community you are working with. Your nerves and fears are absolutely valid and I want to encourage you to continue you to reflect on what you are seeing and learning. I think it will help to ease some of these feelings. Thanks again, Neha! I look forward to learning alongside you. Neha, reading this is amazing! I am so excited to continue reading your experiences – especially considering this opportunity is a passion that is so close-to-home for you. It’s so good to see young people channeling their passions into realities. Keep doing you, girl!